Four hiking trails in Hoeft State Park and a connector to the Sunrise Trail to Rogers City! 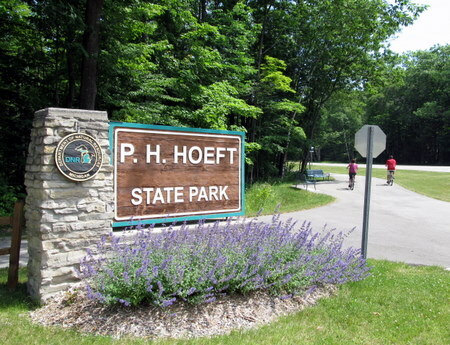 Hoeft State Park is a heavily wooded park with a mile of sandy, Lake Huron shoreline. A paved non-motorized trail connects the park to Huron Sunrise Trail which stretches to Rogers City riding along the beach next to Lake Huron and ends at the world's largest open pit limestone mine. Download Map.